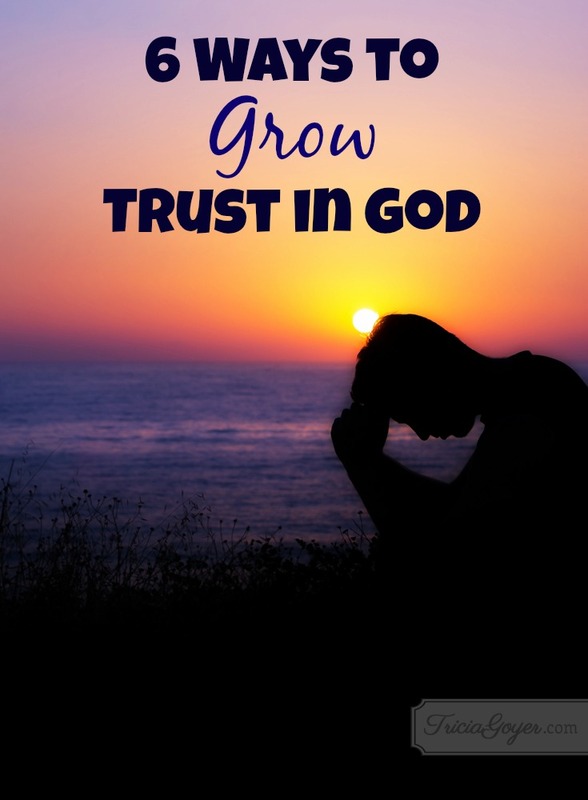 How do you learn to trust God? Let go of your idea of how things should happen. God’s ways are not our ways. And how He chooses to show up will be different—greater—than we can expect. Most of the time we will not get what we want. Instead, we’ll get a greater revelation of who Jesus is. Turn to God in prayer, even when you doubt (especially when you doubt). Talk to Jesus as simply as Martha did. There’s no need for fancy words. Tell him that you feel you got the wrong end of the stick, but then tell Him that you know that He’s going to make all the difference. Ask others to tell you their God-stories or read Christian biographies. Everyone goes through tests or trials, yet God never forsakes those who love Him. Hearing how God has shown up in someone else’s life can give you hope. Thank God for what He’s already done. Be grateful for all that you have. You might not have everything you want, but God has taken care of you in numerous ways. Reach out to another person. Ask God to show you who needs encouragement. Giving of yourself to others will put everything into perspective. Also, when you allow God’s love to pour through you, you’ll also get filled up in the process! Life will never turn out how you expect, and aren’t you thankful? As you walk through dark days, you won’t be walking through it alone . . . and you’ll discover Jesus Christ in new ways! Download the worksheet to help you grow your faith! 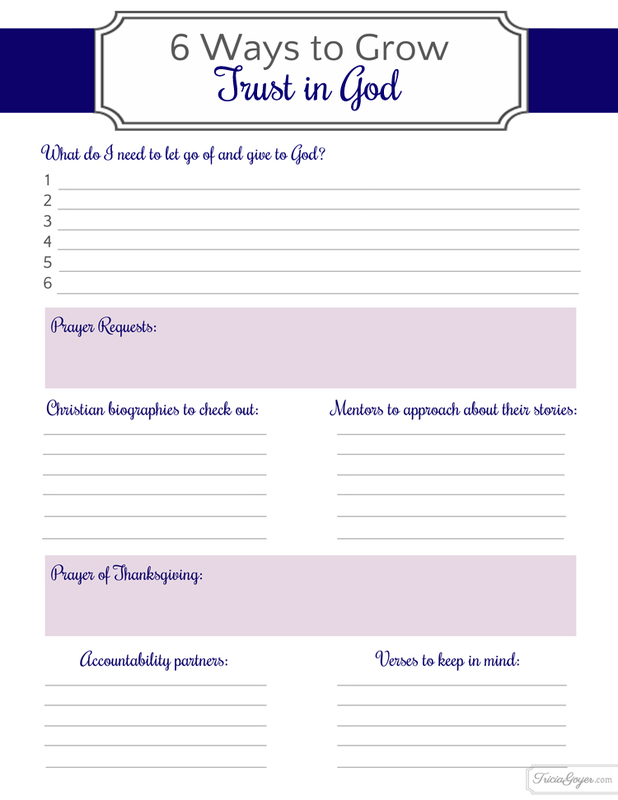 A printable worksheet to guide you as you sit before God. Great for Bible studies or your private devotional time. Great post Tricia. Especially the one about reaching out to others. Tricia, trusting God more is something I’m working on this year. I just want to keep taking my relationship with Him to a deeper level every day, every month, every year. You can never trust Him too much. Thanks for posting these tips. It’s a very helpful list. Blessings to your family for this new year!